Jen talks to you about how she got over her fear of flying anxiety, phobia, terror, all of it and has learned to live and manage this super common problem. This episode has tips, tricks, psychology, and hopefully some hope! 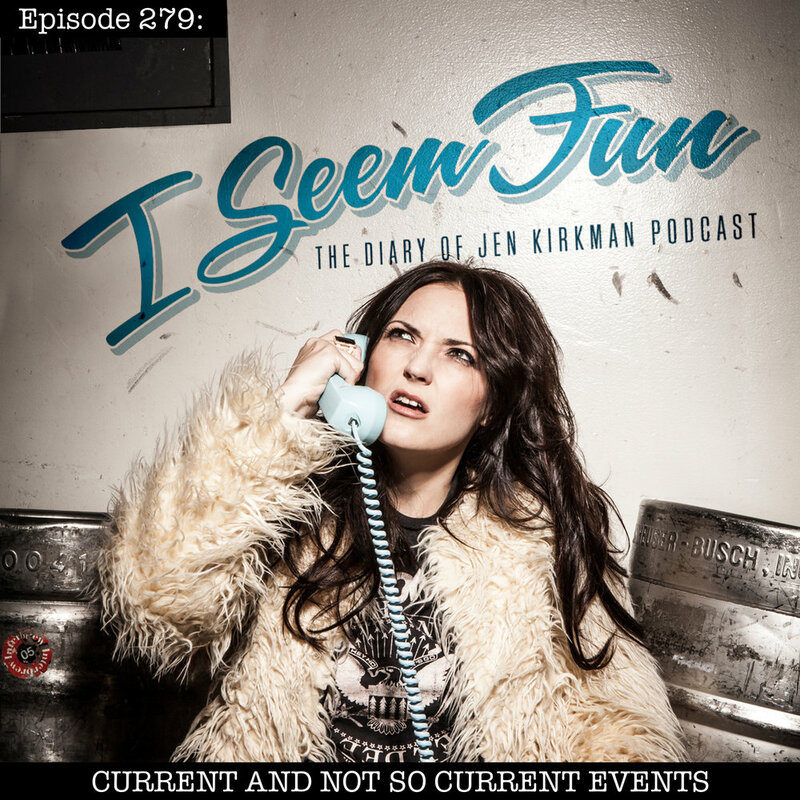 Jen talks to you about her controversial opinion about Mick Jagger having a toddler, how people think money solves emotional problems, when the universe sends you a guy in a dirty hat, and being uncomfortable with more honesty on the podcast. Jen talks to you about her ten years on Twitter, how the internet has changed her life for better or worse, the guy who didn’t get “Heathers”, and Jen reads from obnoxious think pieces she wrote in college as well as notes from her high school friends. Jen sits at home to talk to you about quitting jobs then begging for them back, moving somewhere you’ve never been to, traveling America, making private jokes about someone who is secretly witnessing the whole thing, and being fired in the dot com bust. Jen sits at home to talk to you about the delightful day on Twitter when The Cure and Keanu Reeves being a hero on a plane were trending. Inspired by a listener who wants to know what to do about a quarter life crisis with debt, anxiety, and work stress Jen talks about her epic fails in her early comedy life, not knowing you had to pay off credit cards, day jobs where phones were thrown, and some talk of last week’s tour date where the pilot slammed on the brakes and causing trouble at a rental car company. Jen sits at home to talk to you about how bummed she was to get a listener email suggesting that Jen lives a glamorous life and should never talk about parenting because she isn’t one herself. Jen also talks about her mom going to concerts, and reads an essay about how Gen X is misunderstood. Jen sits at home to talk to you about bringing the generation gaps, her book idea, unpopular opinions, more on Oppy, listener follow-ups, and a dramatic reading of Rager Stone’s Instagram photo hearing.